El hayah is an appropriate blend of vegetable oils with particularly beneficial actions on the hair both protective, restorative, moisturizing, anti-hair loss and dandruff. 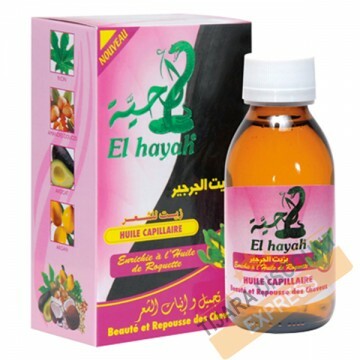 Apply enough Oil Hair El hayah the entire length of your hair and scalp. Massage thoroughly to coat the entire hair and the cover with a towel if necessary. Use in treatment before every shampoo or day after day as often as you wish.